When a juvenile commits a crime, the constituents of the criminal justice system must answer a question: Is the kid a criminal, or is the criminal a kid? The resolution of this dilemma carries far-reaching consequences. Sometimes the analysis quite literally means life or death to the juvenile offender. The very fact that we ask this question exposes a presupposition when it comes to minors who commit crimes. Simply put, kids are different. This is the case in general, as well as in the context of criminality. But how different? Can a child truly understand crime and weigh its consequences, as the criminal justice system assumes adults do? Should they be punished for crime? If so, how? The way that the justice system has answered these questions is best understood by examining the historic development of juvenile courts. 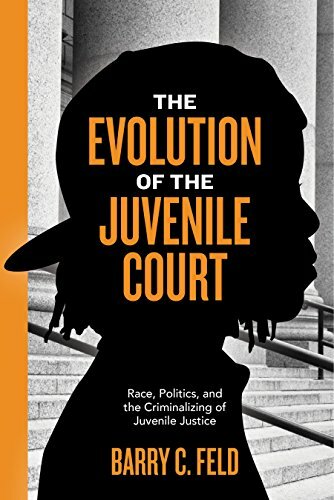 The place to start and finish this investigation is with Barry C. Feld's excellent new book, The Evolution of the Juvenile Court: Race, Politics, and the Criminalizing of Juvenile Justice. Feld, the Centennial Professor of Law Emeritus at the University of Minnesota, has written no less than a treatise on juvenile courts and the juvenile justice system as it has evolved and as it currently stands. Feld posits that the development and operation of the juvenile justice system is a social construct. As such, changes in major institutions, such as the economy or the family, have an outsize impact on how society thinks about juveniles and crime, and ultimately what the juvenile justice system looks like. With this in mind, Feld places the evolution of the juvenile justice system squarely in the context of the development of the country as a whole. The maturation of America has been tumultuous, complete with a civil war and racial disparities that continue to this day. The development of the juvenile justice system reflects these difficulties. While the concept of a separate and distinct juvenile system began with a rehabilitative ideal—the criminal is a kid, who is different and should be "saved"—it evolved into a system designed to deal with and punish perceived "superpredators." For decades in the late 20th century, those kids were criminals, to be dealt with harshly. It will surprise no one that the "get tough" era coincided with the growth of mass incarceration across the board. It is also no surprise, given the history of this country, that the large majority of juveniles on the receiving end of the toughness were black. Feld makes the case that the "old enough to do the crime, old enough to do the time" rhetoric of the era didn't really mean "our" kids (read: white kids), it meant "other peoples' kids": poor, minority juveniles with no agency. But we are now in the "kids are different" era. Violent crime is down, the "superpredator" myth has been debunked, and the understandings of neuroscience are making their way into the criminal justice system. Scientists now better understand how the development of the teen brain impacts judgment and risk-taking behavior. For instance, we now know that the brain's limbic system (the "accelerator") develops before the "brakes" in the prefrontal cortex come online. This underdeveloped risk control apparatus can lead to criminal behavior that is arguably beyond the control of the juvenile. The diminished capacity of the juvenile translates to diminished responsibility in the eyes of the law. Feld argues that this is the time to further reform the juvenile justice system. He offers specific, concrete changes that can be implemented immediately, such as an across-the-board juvenile "discount" at sentencing. But his most compelling argument is that the shamefully high rate of child poverty in America must be addressed, now. Why child poverty? Because, according to Feld, poverty is the "biggest single risk factor for successful child development." Indeed, while Feld sticks to the sociological impacts of poverty, neuroscientists are confirming the organic evidence of child poverty's impact on the development of the brain. Regardless of whether it is viewed through the sociological or neurological lens, child poverty is grievously damaging to a large segment of Americans. It is also a significant factor in the determination of whether a juvenile will become involved in the criminal justice system. Yet, according to Feld, "child poverty is the United States' public policy." A provocative claim indeed. But the numbers support Feld's bold statement. American child poverty rates are double and triple the rates found in European countries. Clearly, Feld argues, child poverty is not inevitable; it is a product of public policy. What kind of society puts forward impoverished children as public policy? The kind that has put juveniles to death and that continues to countenance the drastic and inhumane punishment of juveniles. Professor Feld closes his comprehensive and invaluable volume with a cry to citizens and politicians that something be done to address the systemic problems that lead to juvenile poverty and crime. According to Feld, "[t]he only way to reduce the levels of violence in urban communities and racial disparities in justice administration is to address the profound inequality and concentrated poverty that cause them. This requires the public and politicians to make alleviating unconscionable rates of childhood poverty, failed urban schools, and minority unemployment a national priority." Feld is the preeminent expert in the field of juvenile justice. If that wasn't already clear, it is with the publishing of this important book. Politicians, policymakers, and citizens: Heed his call.